Content marketing is one of the most effective and underutilized strategies for increasing website traffic. Search engines have come a long way, and once popular strategies like keyword stuffing and meta keywords tag targeting are no longer effective for archiving high SERP (search engine results page) rankings. 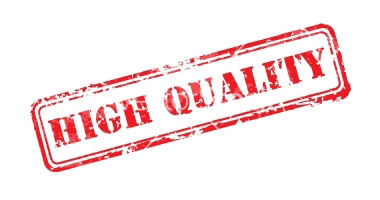 Search engines favor high-quality websites. But what does this mean for small businesses? A high-quality website demonstrates authority on a topic, and Google (and other search engines) will recognize a high-quality website as a trustworthy source of information that is authored by subject matter experts. Authority is established when readers share content through blogs, Facebook, Twitter, Pinterest and other platforms. When websites publish high quality content and the authority of a website increases, search engines will rank websites higher for related keywords and search phrases. Start writing and create valuable content! It sounds simple but the follow-through is challenging and time consuming. Content marketing is a long-term effort that requires dedication and consistency. However, if you commit to it, you will see a gradual increase in website traffic and positive measurable results (both online and offline). A blog, just like this one, is popular channel to publish content. WordPress, Concrete5, and other CMS’ (Content Management Systems) are common publishing platforms for all sizes and types of businesses. The key is to publish original, unique and relevant articles that your target audience wants to read (and hopefully share). You may already have some ideas of topics to write about. Run with them! Do your customers often ask you the same questions over and over? This is a good indication that future customers may also search for these answers online. Start with a problem or question and provide the solution or answer. Think of it as a Q&A session. If your business provides a physical service or product, talk about what you are able to do for your customers. People love reading stores with before and after pictures, or seeing end results. If your market is B2B, talk about the clients you work with and what you are able to do for them. Not only does this validate your work and expertise, but it also is great PR and exposure for your clients. You are an established business leader with a wealth of expert knowledge, advice and information to share. When visitors find your content useful, they will share it and help bring visitors to your website. If you help your audience, they will refer you to friends, family and other businesses. What are you doing lately? Have you landed a big contract? Have you won a local award like a Ruthie? Breathe life into your website and write about your business accomplishments. Even though you are “tooting your own horn,” you are also providing legitimate information about how your community views your business. Your readers will appreciate this and see the value in your business. I cannot stress this enough – content marketing is the not same as writing sales-oriented material. Yes, the primary goal of content marketing is to generate sales and leads. But, if you write like a salesman it will be glaringly obvious. Your blog won’t feel genuine and it won’t provide value to your readers. You can still have a value proposition or sales pitch in your content, but there is a fine line between a sales pitch and sales-oriented content. When that line is crossed, it devalues your content. 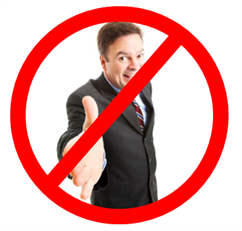 Avoid sounding like a salesman. Instead, show the personal side of your business and write to help people, answer questions and solve problems. What if you don’t have time? Content marketing is challenging, especially if writing is not something you enjoy. Plus, it takes a lot of time – time that you may not have to dedicate to a long-term, successful effort. If you don’t have time to dedicate to content marketing or blogging, let’s start a conversation about how Mackmedia can help. Together, we can develop a cost-effective content marketing strategy for your small business and deliver positive and measurable results.